Donnerstag / Thursday, 27.4. 20:15 Uhr / 8.15 p.m. The Feedback Aerophonium is a selfmade electronical instrument which’s sound production is based on electroacoustic feedbacks. Using a dsp-system (in this case clavias modular programming environment) and resonating objects like e.g. cups or tubes, it becomes possible to control the pitch of the feedbacks. The instrument is equipped with LFOs, amplitude- and ring- modulation, filters and additional subwaves (tuned in a negative partial row, like used in a Trautonium). Without touching any kind of electronic controller, one can play with the partials of the resonance frequency of the objects. 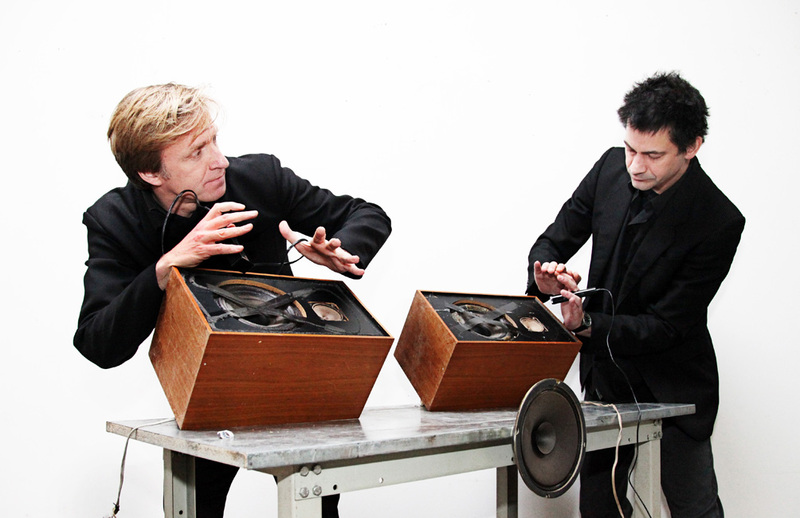 The immediacy of expression in the genesis of sound and the spontaneous conversion of musical ideas make the feedback Aerophonium a perfect tool for improvisation, but also for conceptual and sound art. Moreover, the performative creation of sounds is spectacular and perfectly understandable for the audience.